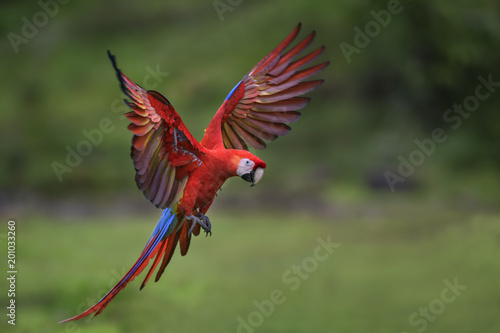 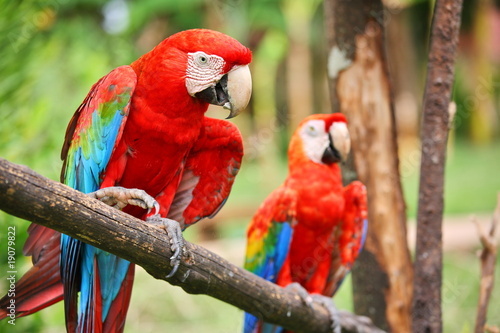 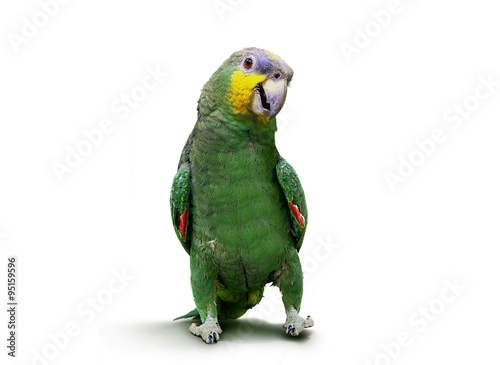 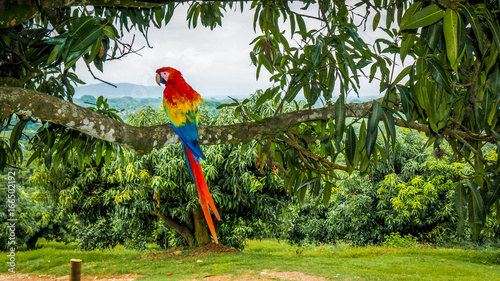 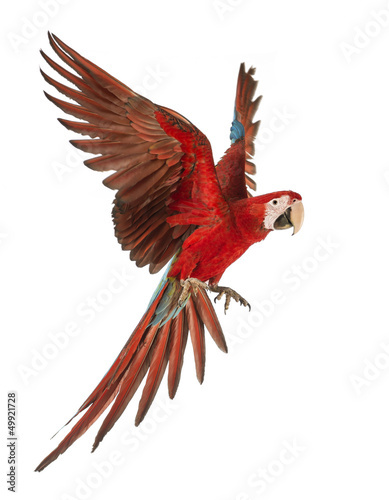 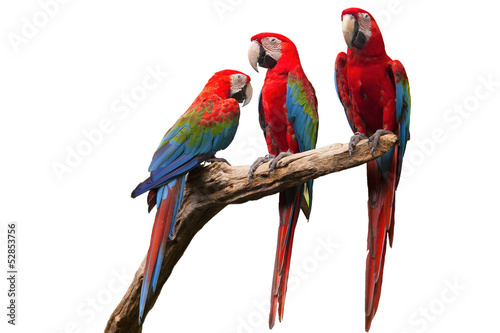 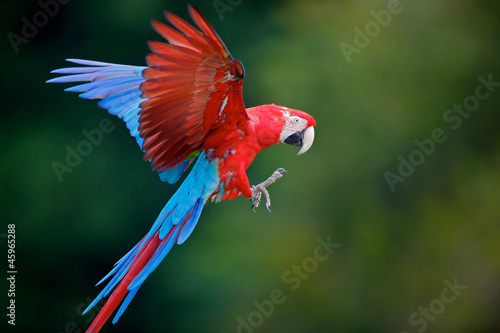 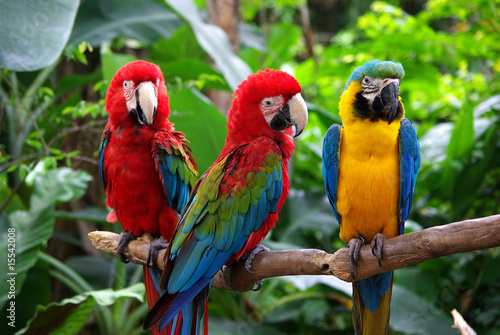 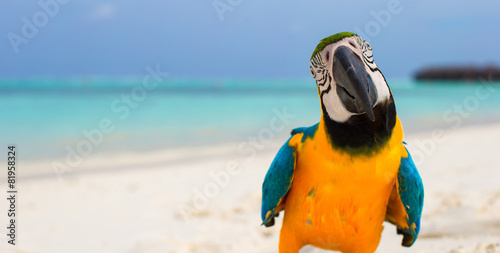 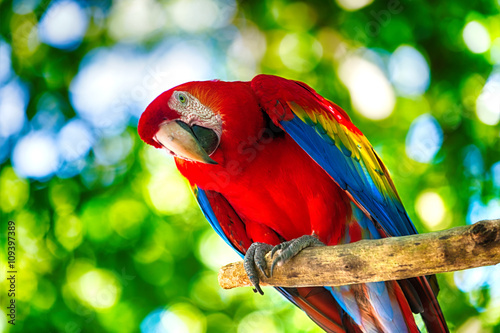 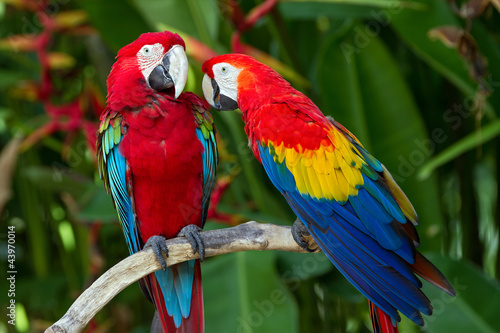 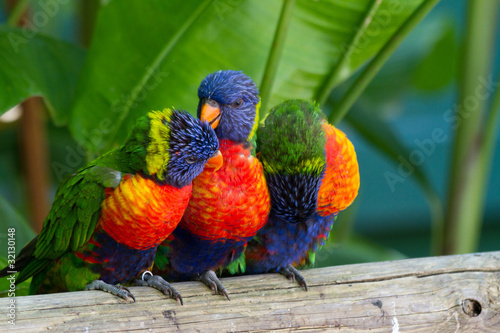 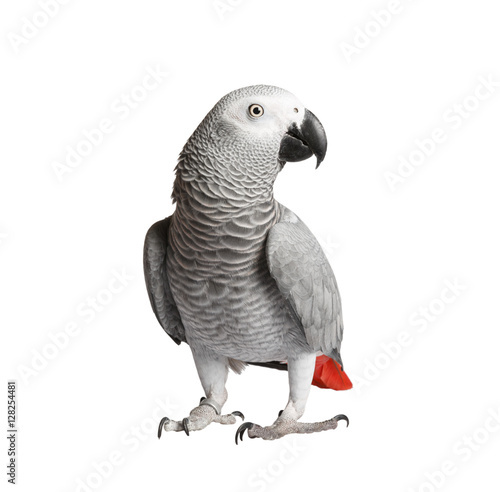 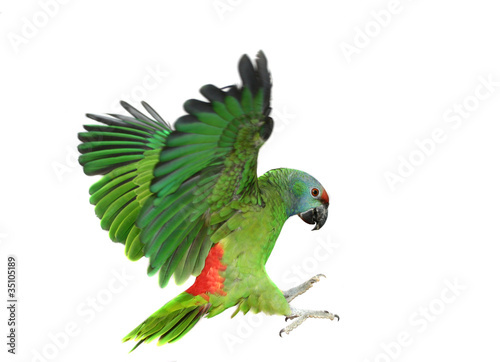 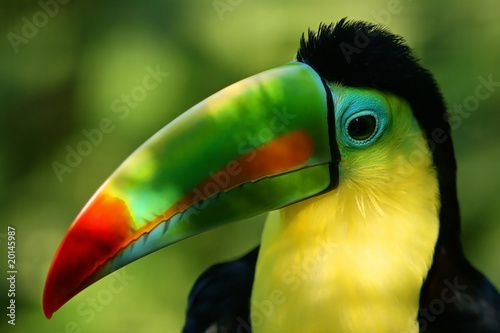 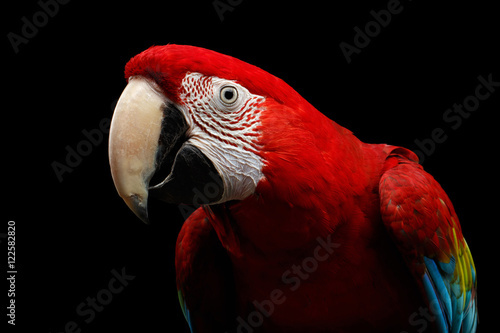 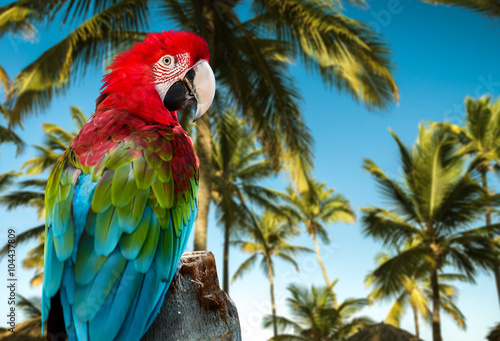 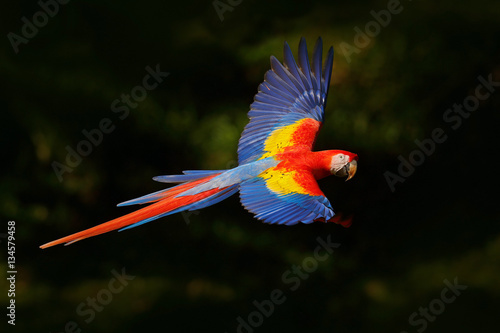 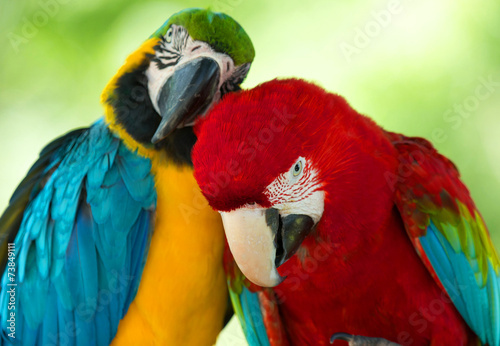 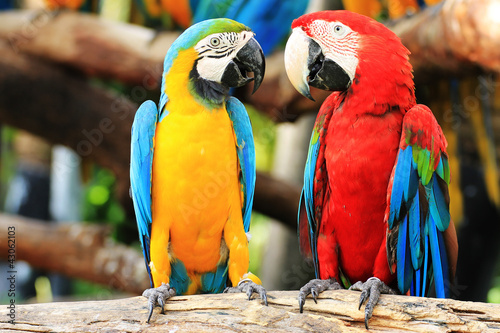 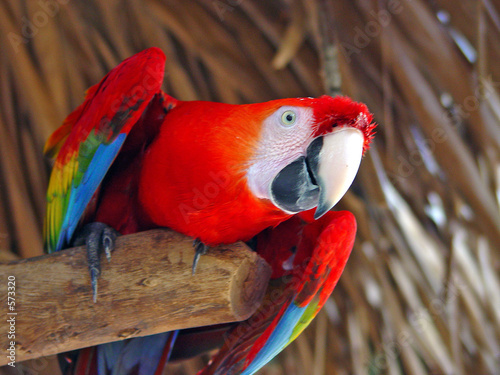 Scarlet Macaw - Ara macao, large beautiful colorful parrot from New World forests, Costa Rica. 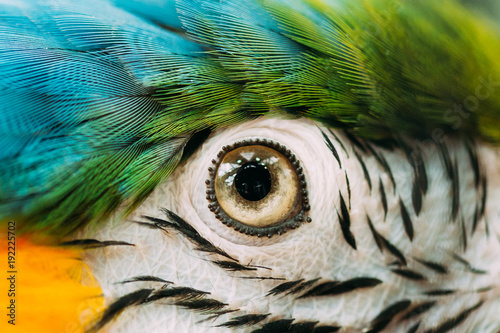 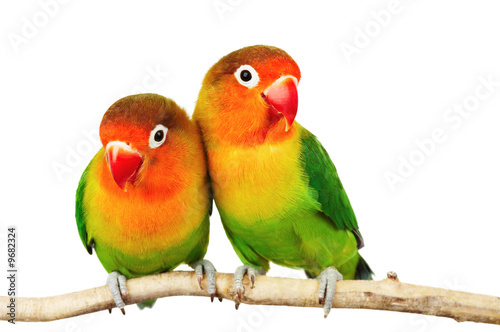 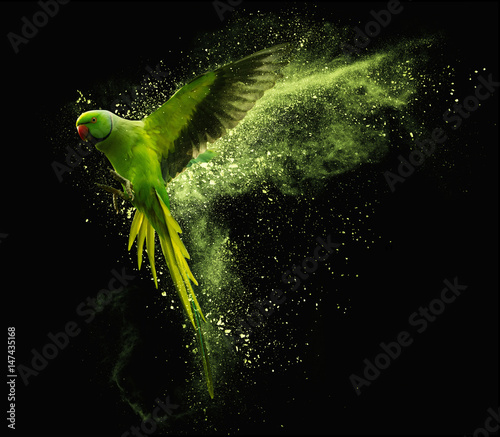 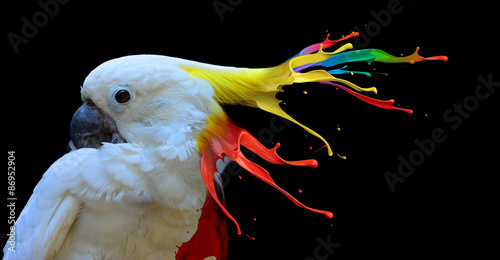 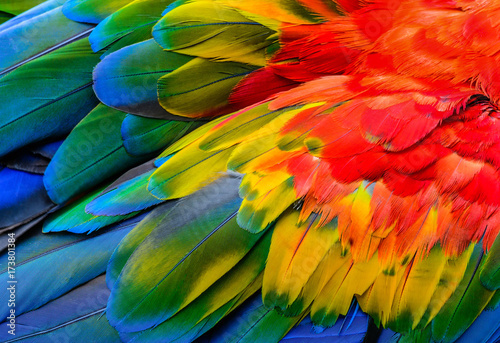 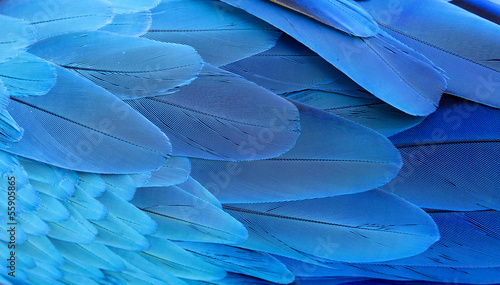 Close up of Scarlet macaw bird's feathers, exotic nature background and texture. 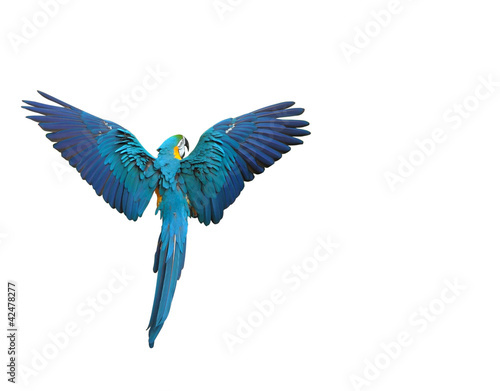 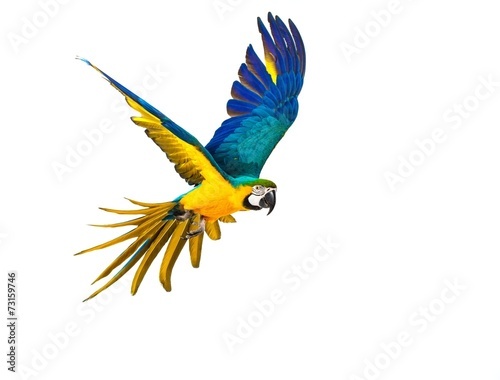 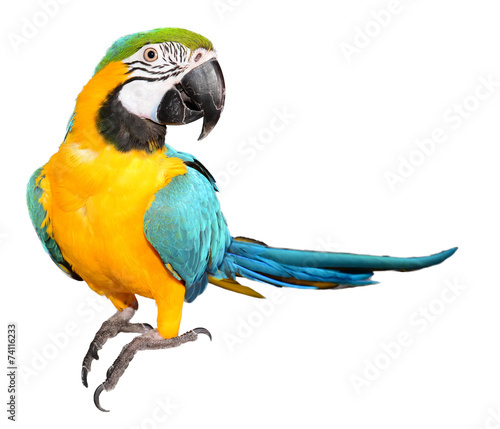 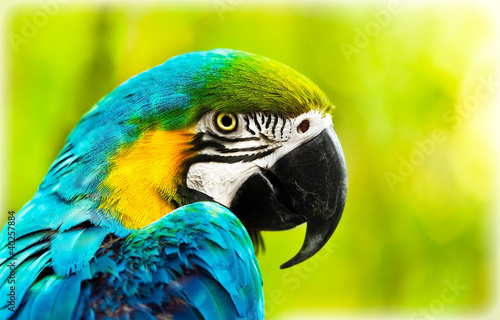 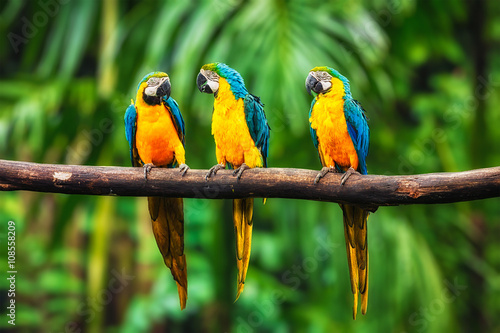 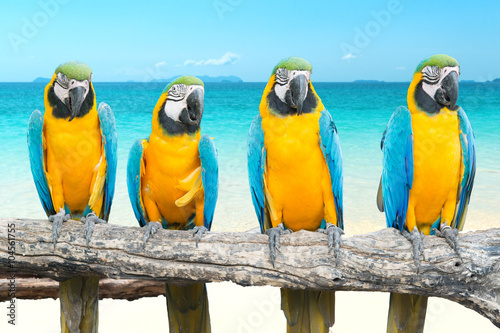 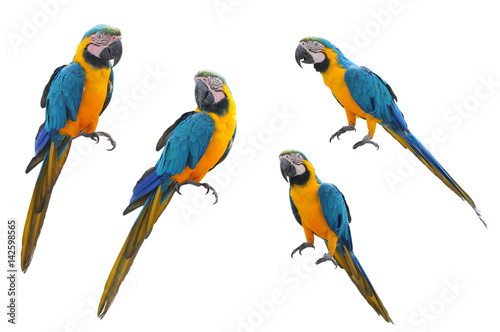 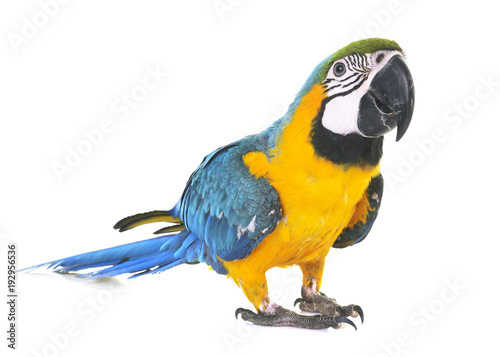 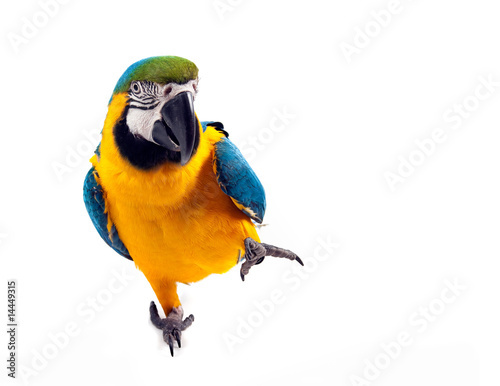 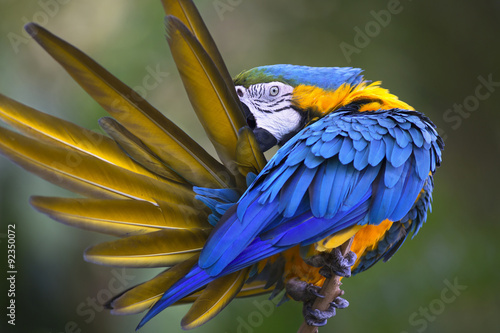 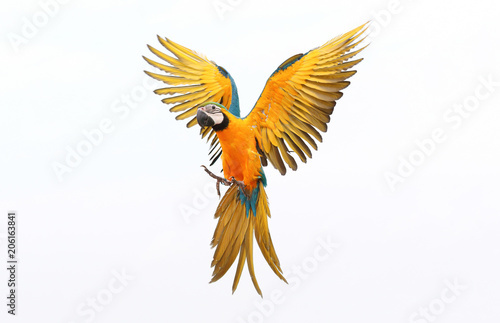 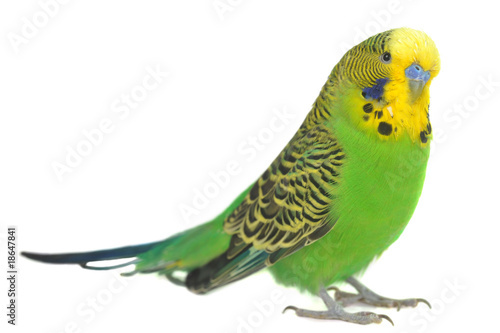 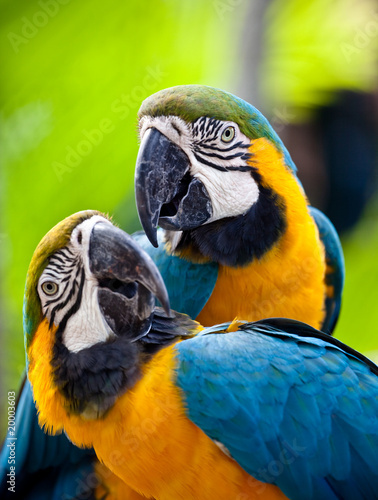 Blue and gold macaw feathers.